This is the second bracelet of a series of 3. 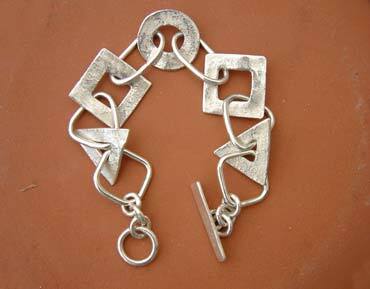 The solid silver links have a reticulated and burnished surface. The wire links, made from 1.2mm sterling silver are fully soldered.